I have no words to describe how much I LOVE LOVE, McLOVE this paper! LOL! 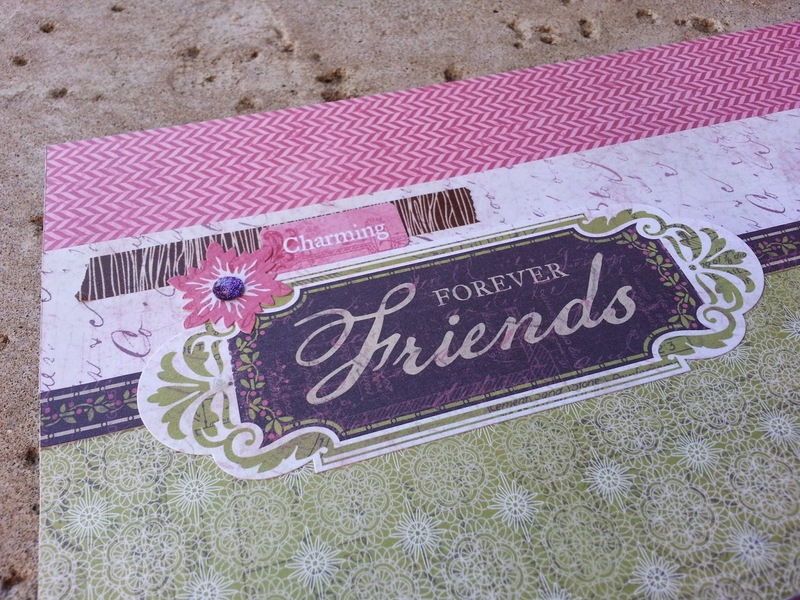 It was so easy to work with, and would be great for vintage papers, Spring, Mothers' Day...so many options! You'll notice that the scrapbook pages I create for club are very open...I rarely add photo mats, as I don't want to choose your photo sizes or placement for you. With lots of wide open space, you can decide what you want to put on your layout, how big, and where. 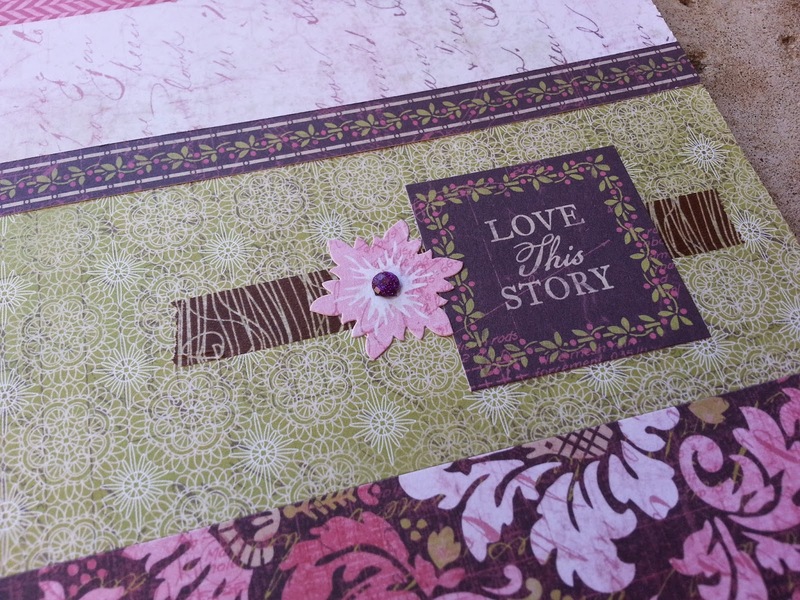 Check out the adorable title embellishment on this layout! 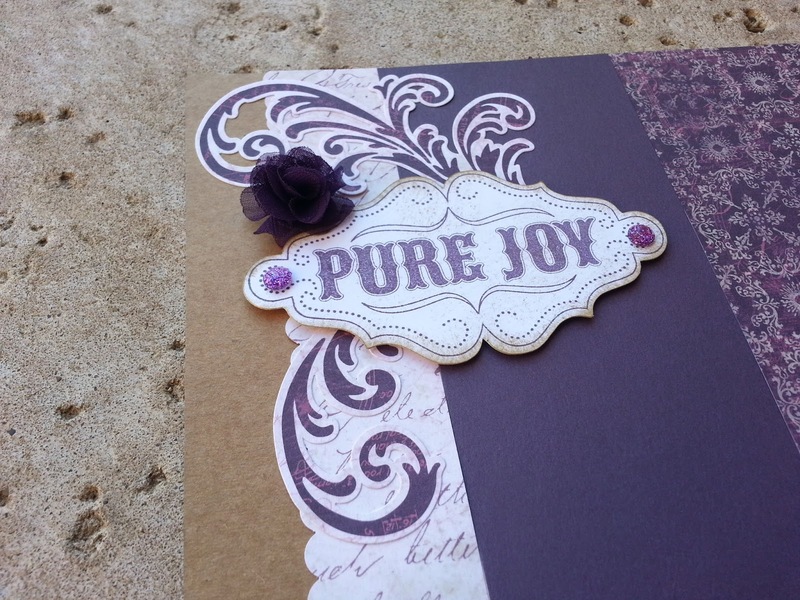 Start by adding the stickease swirls, followed by the "Pure Joy" stamped accent from the Ivy Lane WOTG kit, Cricut-cut and stamped in Smokey Plum Ink and distressed with Desert Sand Ink, and finished off with a gorgeous fabric flower and purple glitter gems. Don't tell anyone...I'm a tiny bit addicted to how gorgeous this is! 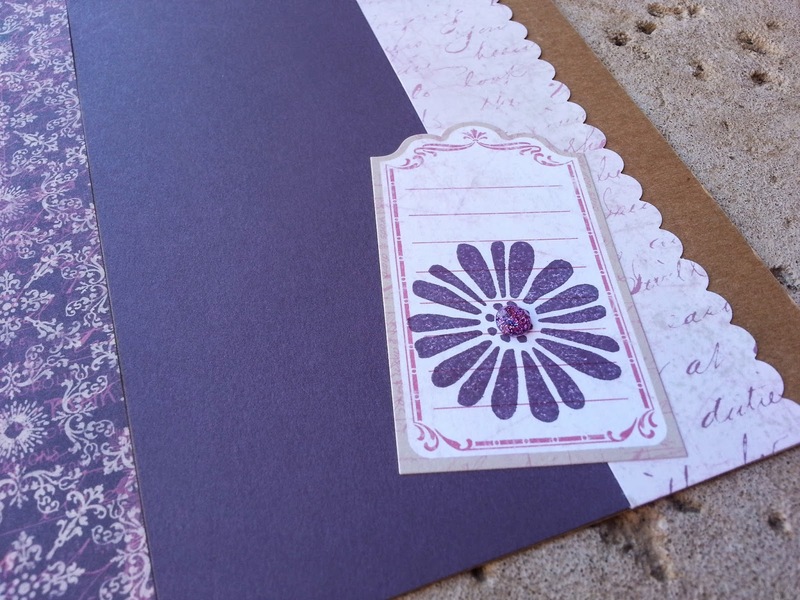 Take the tag stickease and stamp the flower from the stamp set in Smokey Plum, and also finish it off with a purple Glitter Gem. So easy! 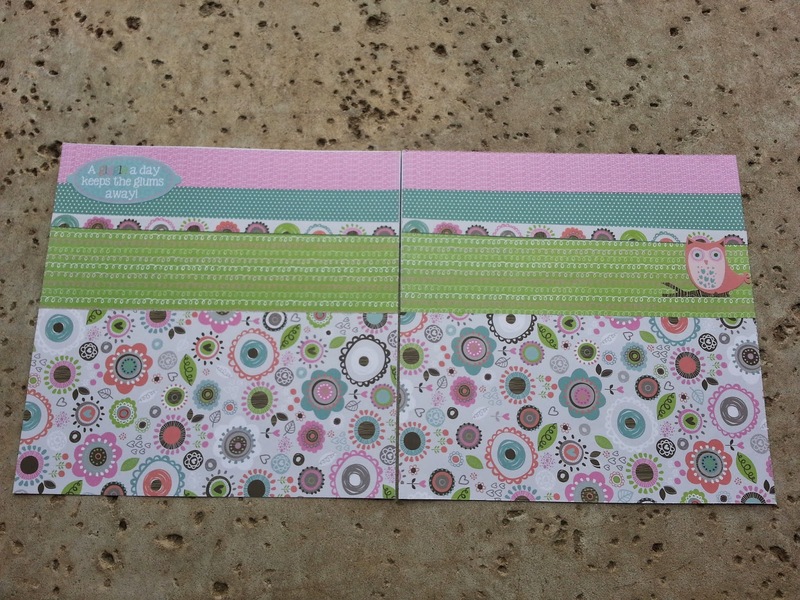 The last accent on the layout featuring Washi tape, stickease and glitter gems. When you layer matching products, it's so easy to create a cute visual accent. 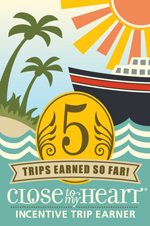 5-Minute Cards - for real, so easy! 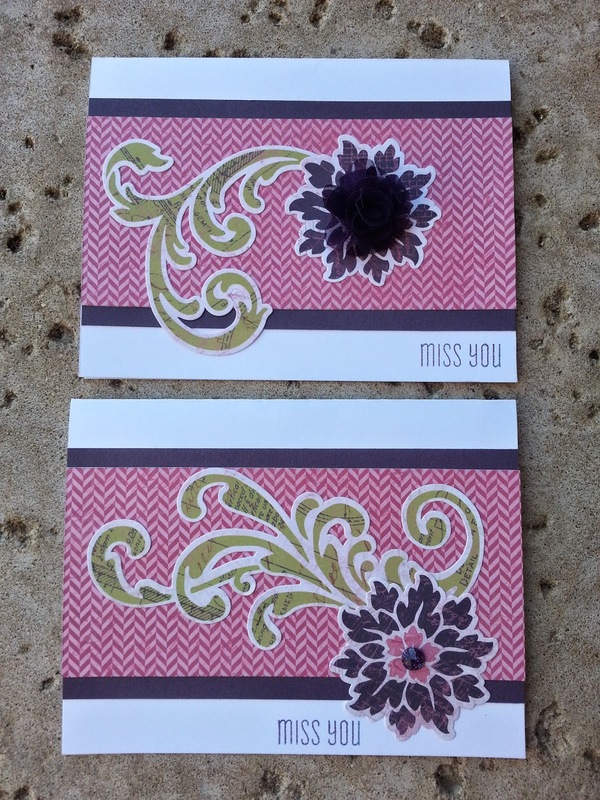 White card bases (I buy the bulk pack because it's SO inexpensive and includes envelopes) then layer with cardstock and B&T pattern paper, and finish with more stickease and embellishments. 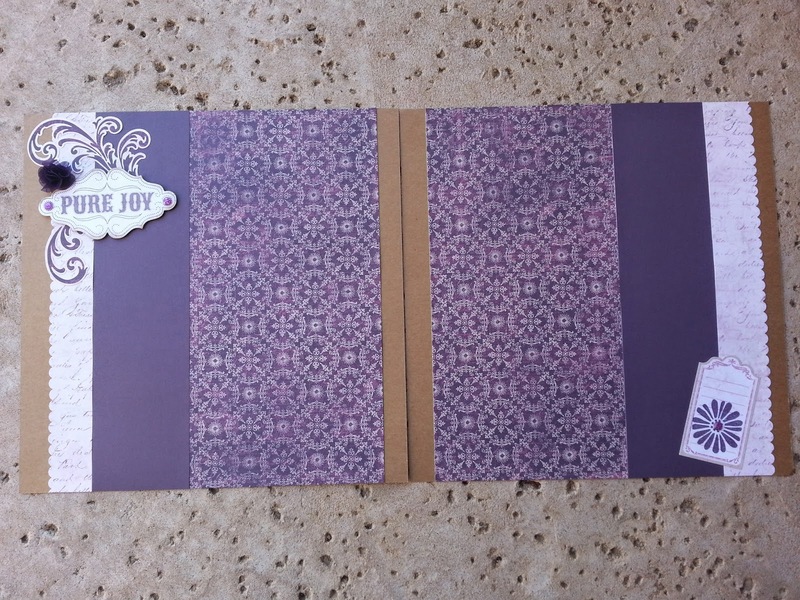 And guess what - we still had a lot of products left over even after creating four pages and two cards! A great way to build your stash! 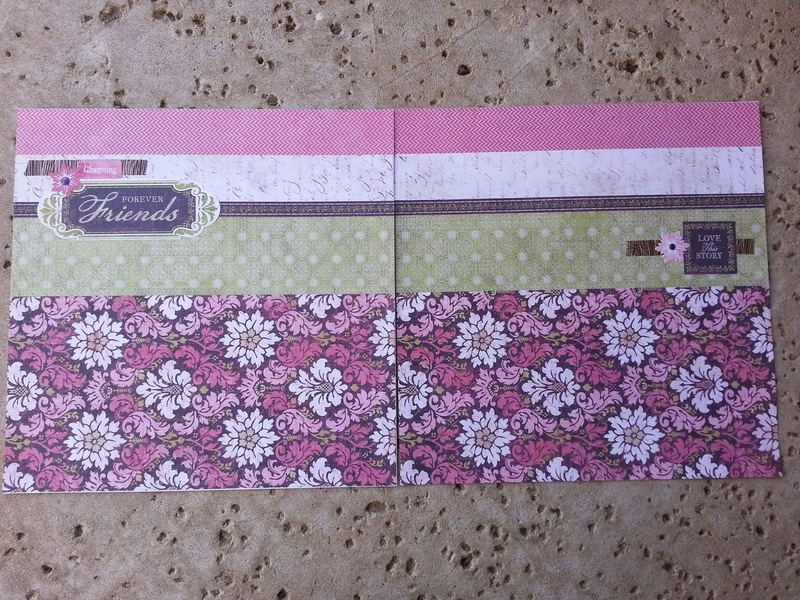 One of my club members chose different papers and stickease, and just plugged them into this month's layout. Isn't it funny how a layout looks so different just by swapping the products used?